I have seen this kind of recipe in a TV program. 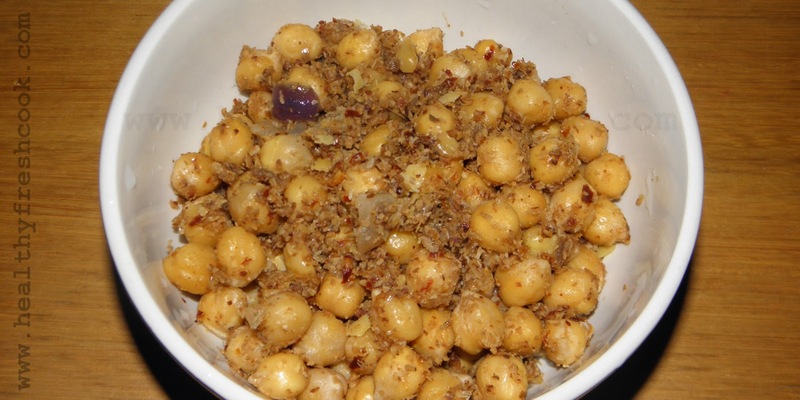 Unfortunately I didn't write down the exact recipe, so I have created a new recipe and made this masala chickpea. I like chickpea very much, but my husband doesn't like it. Whenever I cook chickpea, he eats only 3 or 4 teaspoon of it. When I made this masala chickpea for the first time, as usual I thought he won't like it and I will have to eat the most. Surprisingly he ate a lot and I was left with small amount :). I am sure most of you will like this masala chickpea. Scientist are reporting the health benefits of different fruits and vegetables. Including as much as colour vegetables in our daily diet will maximize our intake of wide range of nutrients. Each colour vegetable/fruit has got unique health benefits. After reading this information, I thought to make a simple dinner with rainbow of vegetables :) So what to do? 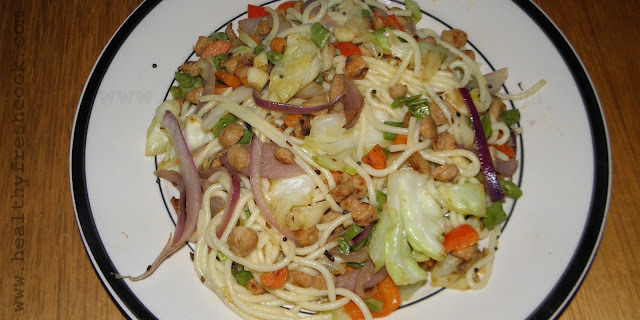 I got several ideas and finally decided to do mix veggie spaghetti.